A 24 hour emergency dentistis who you should contact if you happen to have misplaced your jaw in a car accident. Not only will they find you a solution for this mishap, they will also do the deed with much care and finesse, so that the fix is permanent and cannot cause you pain or problems again in the future. 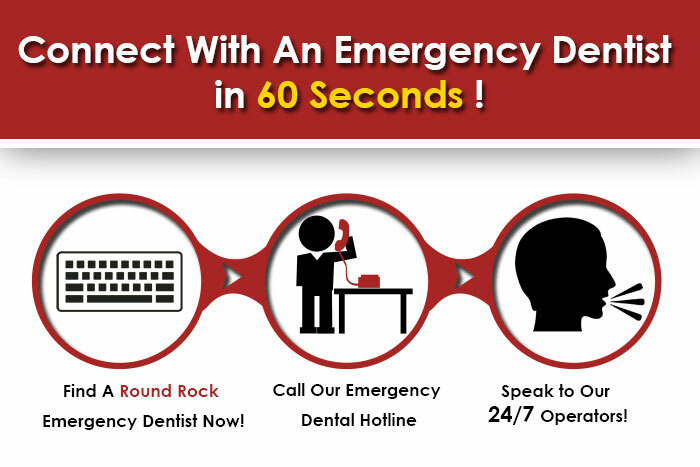 A hilly area that appeals to most tourists, Round Rock has its share of emergency and 24 hour dentists. Containing over 109,000 people, Round Rock is well-known for having affordable cost prices. Established around the 1850s, this region of Texas has a history that speaks of the capture of Sam Bass, a rowdy train robber. Round Rock provides its residents and tourists the chance to go water skiing and for pleasant, long boat rides. Call at 512 310 1500 to get in touch with the team of experts that are available in Dr. Robert’s office. If finances are a matter of concern, when you happen to suffer from a severe dental issue, you are welcome to speak to the staff who will tell you of the options that are available for you for making up for the expenses of the dental procedures that you require. Sealants, comprehensive examinations, root canals, teeth cleaning and much more are possible at Dr. Robert’s chamber. His website contains tidbits on how to tend to small tooth issues on your own. If you wish to visit the great Round Rock Comfort Dentistry that has garnered a group of loyal patients, you could call at 512 248 8888 or 512 248 8868. Their online form could be filled up too, if you wish to book an appointment with the well-practiced dentists at this center. Round Rock Comfort Dentistry accepts major credit cards and is open from Mondays to Saturdays. On Mondays and Wednesdays, they are open from 9.00 a.m. to 6.00 p.m. On Tuesdays and Thursdays, they are available from 9.00 a.m. to 5.00 p.m. Fridays see patients from 8.00 a.m. to 4.00 p.m. And Saturdays see patients from 9.00 a.m. to 1.00 p.m.
A genuinely brilliant team that is as welcoming as kind, the Roup Dental dental care unit could be reached through a call at 512 341 7500. Their website contains several informative videos that shine light on details on human pearly whites. The team mostly consists of well-practiced female dentists, which could make certain female and young patients feel at ease. Dr. Kevin Kim and his team of experts have a solid fan base that is completely satisfied by the services they received at NuYu Dental. If you wish to be part of this group of loyal fans, call 512 579 0069. They are as careful as they are marvelous at their job.